When you took your Motorcycle Safety Foundation (MSF) course to get your motorcycle license, you probably learned about ATGATT. This stands for “all the gear, all the time,” and it is meant to remind all riders to gear up every time they ride. Along with a helmet, following ATGATT means wearing boots, gloves, a jacket, and pants that are all specifically designed to reduce riders’ risk of injury in the event of a high-side or low-side accident. But, following ATGATT is not the law. In fact, Illinois is one of only a few states that do not even require riders to wear a helmet. So, if you are injured in a motorcycle accident and it appears that your injuries would have been less-severe had you been wearing full riding gear, what does this mean for your claim for financial compensation? Let’s start with the basics. If you were injured in a motorcycle accident in Chicago and the accident was someone else’s fault, you are entitled to just compensation. This is due to the basic legal principle of “negligence.” In Illinois (and the vast majority of other states), if someone else’s negligence causes you harm, that person is liable for your injury-related losses. 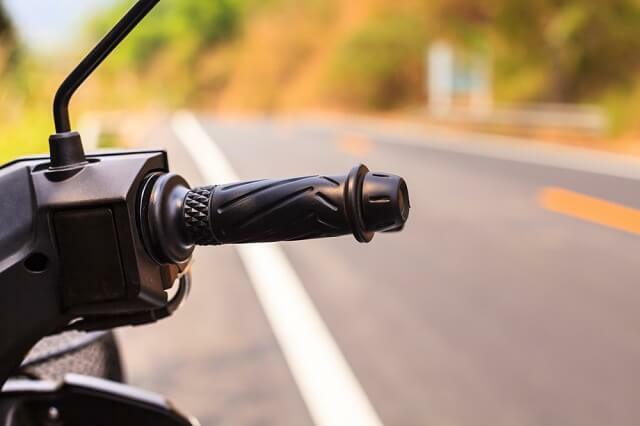 In the context of a motorcycle accident, this typically means seeking compensation under the negligent driver’s bodily injury liability (BIL) insurance policy. BIL insurance covers accident victims’ losses when the policyholder is deemed at fault, and it covers all losses stemming from the victims’ injuries. This includes not only medical bills and lost wages, but also pain and suffering, scarring and disfigurement, emotional trauma, loss of enjoyment of life, and all other current and future financial and non-financial losses. A vehicle manufacturer (if a defect in your motorcycle or another vehicle caused or contributed to the accident). Now, let’s get back to the issue of not wearing full riding gear. Essentially, this boils down to a question of: What happens if you are partially at fault for your own injuries? If you had the option to wear riding gear and you chose not to do so, should this reduce (or eliminate) your financial recovery? In all actions on account of death, bodily injury or physical damage to property in which recovery is predicated upon fault, the contributory fault chargeable to the plaintiff shall be compared with the fault of all tortfeasors whose fault was a proximate cause of the death, injury, loss, or damage for which recovery is sought. The plaintiff shall be barred from recovering damages if the trier of fact finds that the contributory fault on the part of the plaintiff is more than 50% of the proximate cause of the injury or damage for which recovery is sought. The plaintiff shall not be barred from recovering damages if the trier of fact finds that the contributory fault on the part of the plaintiff is not more than 50% of the proximate cause of the injury or damage for which recovery is sought, but any economic or non-economic damages allowed shall be diminished in the proportion to the amount of fault attributable to the plaintiff. You were injured in a motorcycle accident and an investigation reveals that you were 10% at fault. Your total losses are $100,000. In this case, you would be entitled to recover 90% of your losses, or $90,000. You were injured in a motorcycle accident and an investigation reveals that you were 50% at fault. Your total losses are $100,000. In this case, you would be entitled to recover 50% of your losses, or $50,000. You were injured in a motorcycle accident and an investigation reveals that you were 51% at fault. Your total losses are $100,000. In this case, you would be barred from recovering any of your losses under Illinois’ law of contributory negligence. Is it “Negligent” Not to Follow ATGATT? As you can see, the determination of your percentage of fault can greatly impact your right to financial compensation after a motorcycle accident in Illinois. However, with regard to the question of whether deciding not to wear full riding gear constitutes a form of contributory negligence, the answer is far from straightforward. The determination of contributory negligence must necessarily be made on a case-by-case basis. In this regard, one of the key things to remember is that the negligence must “contribute” to the accident. Even if you are drunk, if your intoxication does not contribute to the accident (i.e. if you are hit while waiting at a red light), then you are not partially at fault for your injuries. Applying this principle to ATGATT, you can easily see that failing to follow ATGATT will not necessarily reduce an injured motorcycle rider’s financial recovery in all – or even most – cases. While gloves, jackets, and pants are designed to reduce the risk of road rash, they are not capable of preventing traumatic injuries such as broken bones, soft tissue damage, and spinal cord injuries resulting from motorcycle accidents. Similarly, while a sturdy pair of riding boots can help protect your ankles if you need to put your feet down at a very low rate of travel, riding boots are no match for the forces involved in an accident at public roadway or highway speeds. To think about it a different way: If a car cannot withstand the forces involved in a collision, there is simply no way that a piece of clothing is going to fully protect you. With regard to helmets, the same basic considerations apply. While DOT and Snell-certified helmets are designed to reduce the risk of certain types of head injuries, they are not guaranteed to prevent all injuries in all accidents. If you suffered a traumatic brain injury (TBI) or other head injury in a crash and you weren’t wearing a helmet, in order to reduce your recovery under the rule of contributory negligence, the at-fault driver (or his or her insurance company) would need to be able to show that a helmet would have protected you. And, if you suffered a non-head injury such as a broken leg, then your helmet use (or lack thereof) is entirely irrelevant to your claim for financial compensation. All of this means that you need to be very careful to avoid making any assumptions about your legal rights after a motorcycle accident in Chicago. Do not assume that riding gear would have protected you, and do not assume that your decision not to follow ATGATT is going to prevent you from recovering financial compensation. 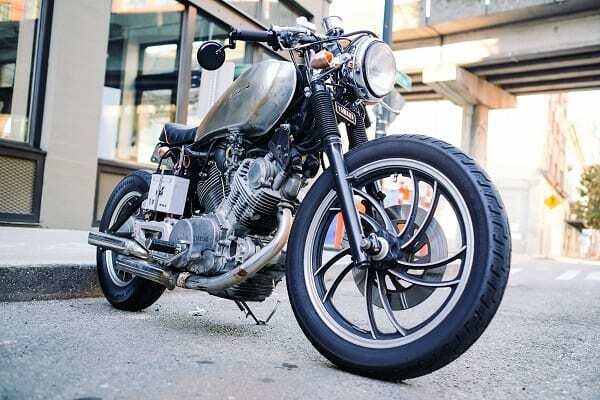 However, the one thing you can assume is that the insurance companies are going to try to blame you for your own injuries; and, to make sure you avoid mistakes that could jeopardize your financial recovery, the best thing you can do is to speak with a Chicago motorcycle accident lawyer as soon as possible. If you were injured in a motorcycle accident in Chicago, we encourage you to contact us for a free, no-obligation consultation about your legal rights. To discuss your case with an experienced attorney at Malman Law, call 888-625-6265 or request an appointment online now. When a negligent truck driver causes an accident, victims can typically seek compensation from the truck driver’s insurance company or his or her employer. But, what happens when the accident isn’t the truck driver’s fault, but is instead the result of an issue with the truck itself? Or, more specifically, when the accident is the result of improper loading or securing of truck cargo? Along with truck driver negligence, cargo loading errors are among the most-common causes of serious and fatal commercial truck accidents. According to the Federal Motor Carrier Safety Administration (FMCSA), more than one in 20 serious and fatal commercial truck accidents involves the release of hazardous materials (HAZMATs), and even more involve issues related to cargo that is not itself inherently dangerous. This includes issues such as failure to properly secure cargo (resulting in the cargo falling off of the truck) and exceeding a truck’s gross vehicle weight rating (GVWR) for safe cargo transport. 18 wheelers and tractor trailers can carry an enormous amount of cargo. Under federal regulations, these trucks can legally weigh up to 40 tons (or 80,000 pounds) while traveling on the interstate and other public roads. Compare this to the weight of an average passenger vehicle (such as the Toyota Camry or Honda Accord, both of which weigh around 3,300 hundred pounds), and it is not hard to see why ensuring proper loading and securing of cargo is of utmost importance. Unfortunately, while commercial trucking companies are subject to strict federal safety regulations, this alone is not enough to protect innocent drivers and passengers. One reason is that these safety regulations take into account the realities of commerce in today’s world, and therefore they do not necessarily prioritize safety over all other competing factors. Another reason is that trucking and shipping companies routinely violate these safety regulations, placing profits and efficiency ahead of the safety of other motorists on the road. When loose cargo falls from a vehicle, it can present an extreme hazard to all drivers in the vicinity. 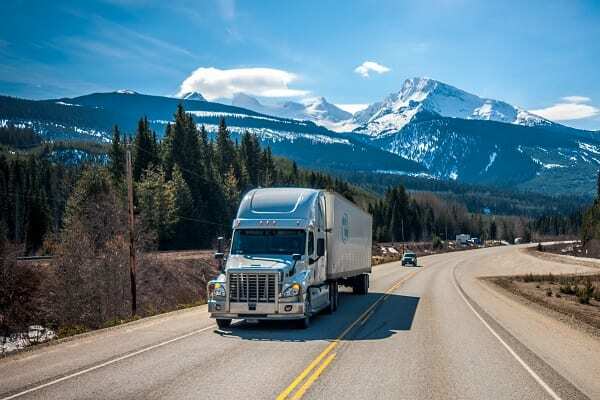 One of the most-dangerous types of accidents involving falling cargo occurs when the cargo hits another vehicle directly, breaking or penetrating the windshield and causing the driver and any passengers severe lacerations and other traumatic injuries. In this scenario, it is not uncommon for the driver to lose control and collide with other vehicles or stationary objects (such as guardrails or telephone poles) as well. Even if falling cargo does not hit another vehicle directly, it can still put drivers in situations where they are helpless to avoid a collision. Oftentimes, drivers in this scenario will be forced to choose between hitting the fallen cargo or swerving and colliding with another vehicle. Either way, the fallen cargo is clearly the cause of the accident, and all victims who are injured deserve to recover just compensation. Spills of liquid cargo, including water, gasoline, oil, other chemicals, and even chocolate, can present a variety of risks for unsuspecting motorists. Aside from causing general confusion and chaos on the road, spills can also make the road slippery, and gasoline and other HAZMATs can present fire and exposure hazards. Tanker truck spills often result in multi-vehicle, chain-reaction accidents, and they can cause a variety of types of internal and external injuries. Trucks that have been overloaded or improperly-loaded can become compromised or unstable, not only making it more difficult for the driver to maintain control, but also increasing the risk of tire blowouts, brake failures, and other truck-related issues. Improperly-loaded trucks can also be more prone to jackknifing or rolling over and potentially crushing other vehicles on the road. Even the most-experienced truck drivers will be powerless to control a truck that is out of control due to improper cargo loading. Truck drivers who are unaware that their trucks have been overloaded may not be able to stop in time to avoid rear-ending another vehicle, and those who attempt to brake suddenly in order to avoid a collision may find themselves completely helpless to do so. The Trucking Company – If the company that owns and operates the truck was also responsible for loading its cargo safely, then any accidents resulting from cargo loading errors are likely to be the responsibility of the trucking company. The Loading or Shipping Company – If a third-party loading or shipping company placed the cargo onto the truck or filled the contents of a tanker or shipping container, then this company could be responsible for all accident victims’ property damage and injury-related losses. A Truck or Component Manufacturer – If the accident resulted from a defect in the truck, a cargo strap or other restraint, or any other component relied upon for safe cargo transport, then the manufacturer (and any other companies in the “chain of distribution”) could be liable for the accident as well. Once you know what caused the accident and who was at fault, then you can file a claim to secure full compensation for your current and future losses. After you file your claim, you may eventually receive an offer to settle. If this happens, how can you make an informed decision about whether to accept the settlement offer or continue on the path toward trial? The key to making an informed decision about settlement is to ensure that you have a clear understanding of your current and future losses. Until you know what your claim is worth, you simply have no way of knowing what constitutes a fair settlement. At Malman Law, our injury attorneys work closely with our clients and a team of outside investigators, doctors, engineers, and other experienced professionals to make sure we know how much our clients’ cases are worth, and we give our clients all of the information they need to make informed decisions about protecting their legal rights. Were you injured or was a loved one killed in a commercial truck accident in the Chicago area? If so, our attorneys can help you seek maximum compensation for your losses. To learn more in a free and confidential consultation, call us at 888-625-6265 or request an appointment online today. You pay nothing unless we win. Financial exploitation of seniors living in nursing homes is a major problem. According to a study reported by the National Center on Elder Abuse (NCEA), “financial mistreatment [is] the most commonly reported form of abuse, followed by potential neglect, emotional mistreatment, physical mistreatment, and last sexual mistreatment.” The Consumer Financial Protection Bureau (CFPB) calls financial exploitation of seniors “[t]he crime of the 21st century,” and an “epidemic [that] is truly under the radar.” According to the CFPB, seniors lose billions of dollars to financial exploitation every year. If you have an aging loved one living in a nursing home in the Chicago area and you suspect that he or she may be a victim of financial exploitation, these are important facts for you to know. In today’s world, you cannot simply dismiss your concerns; and, sadly, you cannot assume that your loved one’s nursing home has his or her best interests in mind. Financial exploitation in nursing homes is a form of elder abuse that has become alarmingly common; and, if you have concerns, you should seek professional help as soon as possible. Who Commits Financial Exploitation of Seniors Living in Nursing Homes? Nursing homes overbilling residents for services, supplies, medications, or use of equipment (or billing for services or items that were not actually provided to residents). Investment fraud perpetrated by “investment advisors” or scam artists who specifically target seniors, and who may even seek to give presentations inside of nursing homes or at free-lunch events promoted to nursing home residents. Nursing home caretakers using their position of influence to convince nursing home residents to modify their estate plans, grant them power of attorney, or provide access to their financial accounts. Caretakers, administrators, and other nursing home staff members stealing residents’ cash, checkbooks, credit cards, debit cards, and other items of value. Nursing home administrators and other individuals pressuring residents to make financial decisions quickly and without the opportunity to speak with a lawyer, financial advisor, or family member. Other residents, service providers, and care providers who gain unauthorized access to aging nursing home residents’ rooms and valuables. Lottery and sweepstakes scams requesting that nursing home residents send a small sum of money in order to collect their prize. Charity scams fraudulently soliciting donations that are simply pocketed. Staff members and third-party service providers asking residents to leave their room so it can be cleaned or so medical equipment can be serviced, and then stealing residents’ valuables or financial information. Predatory lending scams to collect payments from nursing home residents. Annuity and investment fraud scams. Taking out credit cards or otherwise gaining access to financial resources by stealing nursing home residents’ personal information. Fraudulently obtaining a power of attorney in order to gain access to nursing home residents’ finances. Threatening physical abuse against nursing home residents unless they give money or financial account information to the perpetrator. Keeping change from errands, forging residents’ checks, and asking residents to pay for items purchased for caregivers and other individuals. These lists are by no means exhaustive. Financial exploitation can take many different forms, and nursing homes, scam artists, and others are constantly finding new ways to take advantage of unsuspecting seniors. Once again, if you have any reason to suspect that your aging loved one is a victim of financial exploitation in a Chicago nursing home, you should speak with someone immediately. What are the Warning Signs of Financial Exploitation of Nursing Home Residents? What Should You Do if You Suspect Financial Exploitation in a Chicago Nursing Home? The CFPB has identified “four pillars of successful intervention” for preventing and putting a stop to financial exploitation of seniors living in nursing homes. While these “pillars” are designed to assist nursing homes in developing protocols and procedures for combatting financial exploitation in their facilities, they can serve as a useful roadmap for nursing home residents and their loved ones as well. The more you know about the sources, risk factors, and warning signs of nursing home financial exploitation, the better able you will be to respond quickly, and potentially even prevent exploitation from occurring. Try to help your aging loved one understand the risks as well, and help him or her take steps to reduce the chances of theft or financial abuse. If you spot any of the warning signs of financial exploitation, it is important to take action promptly. Like other forms of nursing home abuse, financial exploitation is rarely a one-time event. Whether you notice unusual purchases on your loved one’s account statement, valuables are missing from your loved one’s room, or your loved one is exhibiting psychological symptoms of abuse, it is important to promptly determine whether there is an alternate explanation or you need to take action against financial exploitation. If you believe that your parent or other aging loved one may be a victim of financial exploitation in a Chicago nursing home, you need to try to document your findings. Write down what you are thinking so that you don’t forget later, take photos, print files – do whatever makes sense under the circumstances at hand. If you need to take legal action to recover your loved one’s losses, these early records could be important evidence in your claim for financial recovery. When faced with a situation of nursing home abuse, including financial exploitation, there are three primary legal options. The first option is reporting the incident to the Illinois Department of Public Health (IDPH). IDPH has oversight of nursing homes operating in Chicago, and it has the authority to impose penalties against nursing homes that perpetrate or allow financial exploitation to occur. The second option is to file a complaint with the local prosecutor. Financial exploitation of seniors is a criminal offense, and perpetrators can face fines and jail time if convicted in court. The third option is to speak with a civil attorney about taking legal action against the nursing home or other perpetrator directly. This option allows you to recover your loved one’s financial losses and pursue other appropriate remedies, including extricating your loved one from an abusive nursing home. An attorney who is experienced in handling nursing home financial exploitation claims can also file complaints with IDPH and the local prosecutor on your behalf if it makes sense to do so. Ultimately, if you have concerns about financial exploitation in a Chicago nursing home, the best thing you can do is to seek help immediately. There is no harm in being wrong, but failing to take action can have drastic consequences for your aging loved one. Are you concerned that a loved one who is living in a Chicago nursing home may be a victim of financial exploitation? If so, we encourage you to contact us for a free, no-obligation consultation. To speak with a nursing home abuse lawyer at Malman Law in confidence, call 888-625-6265 or tell us about your situation online now. Slip-and-fall accidents happen suddenly and unexpectedly, and they can change your life in the blink of an eye. People of all ages can suffer severe traumatic injuries in slip-and-fall accidents, and the recovery process can be slow, painful, and extremely expensive. If you were injured in a slip-and-fall accident in Chicago and are wondering about your legal rights, this article provides an introduction to what you need to know. Here, you will find information about common injuries and their causes, and at the end we have provided a checklist for assessing your claim for financial compensation. Of course, there is no substitute for speaking with an experienced personal injury attorney, and for personalized legal advice about your situation, we encourage you to call us 24/7 at 888-625-6265 for a free, no-obligation consultation. A concussion is a form of traumatic brain injury (TBI) that occurs when a blow to the head or violent shaking of the body causes the brain to make impact with the skull. Although concussions are generally considered to be a “mild” form of TBI, recent scientific research has shed light on the serious and potentially long-term effects of concussions from falls and other types of traumatic accidents. “A concussion is an injury to the brain that results in temporary loss of normal brain function. It usually is caused by a blow to the head. In many cases, there are no external signs of head trauma. Many people assume that concussions involve a loss of consciousness, but that is not true. In many cases, a person with a concussion never loses consciousness. . . . In a slip-and-fall accident, a person can sustain a concussion as result of hitting their head on the floor or another object, or as a result of their head moving suddenly and violently when their body hits the floor. Initial symptoms typically include severe headaches, confusion or difficultly focusing, visual disturbances, sensitivity to light, ringing in the ears, and other cognitive impairments. Bones other than vertebrae can break in slip-and-fall accidents as well. Depending upon how a person lands, bones in the hands, arms, feet, and legs can all easily break under the force of a fall, as can ribs, sit bones and other bones in the pelvis, and potentially even bones in the face or skull. While modern medicine allows for treatment and full rehabilitation of many types of bone fractures, recovery can take time, and some people will still experience chronic pain and other lasting symptoms. When pursuing a slip-and-fall claim involving a broken bone (or any other serious traumatic injury), it is critical to ensure that you have a clear picture of the long-term effects of your injury. Soft tissue injuries can be painful and debilitating, but they can also be difficult to diagnose. 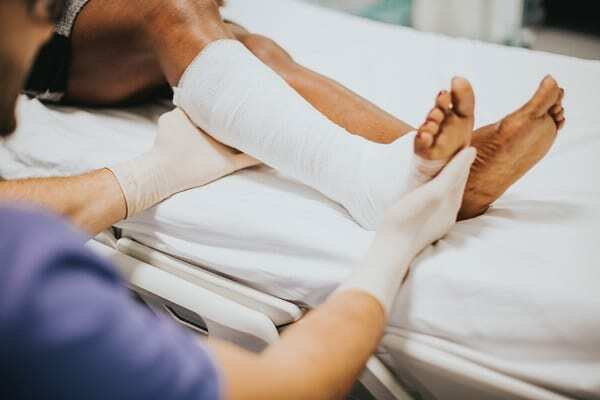 Swelling, bruising, skin discoloration, and loss of mobility (or pain with movement) are all common symptoms, and soft tissue injuries can range in severity from sprains and strains to complete tears requiring surgical repair. Due to the fact that soft tissue injuries often do not produce symptoms that are immediately apparent, after suffering a significant fall, it is important to seek medical attention regardless of how you feel and even if you are not exhibiting external symptoms of a traumatic injury. If your injury is not listed above, does this mean that you are without legal rights? Absolutely not. These are simply some of the injuries we most often see among clients who have been injured in slip-and-fall accidents. If you have suffered any serious injury in any slip-and-fall accident in the Chicago area, we want to hear from you, and one of our personal injury attorneys will be happy to speak with you personally to determine if you have a claim for financial compensation. Checklist: Do You Have a Claim for Injuries Sustained in a Slip-and-Fall Accident in Chicago? So, you slipped and fell, you are in pain, and you want to find out if you are entitled to financial compensation for your injuries. What do you need to know? □ Did you slip and fall on someone else’s property? While it is possible to secure compensation for a slip-and-fall accident at home in some circumstances (i.e. if you fell due to a construction defect), most slip-and-fall cases involve claims against third-party property owners and businesses. This includes the owners of stores, restaurants, office buildings, medical facilities, entertainment venues, and educational institutions, among others. □ Do you know where you fell? To pursue a claim for compensation, you need to know where you fell. This does not necessarily mean that you need the specific street address, but you need to be able to provide your attorney with enough information so that he or she can identify the owner of the property or business. □ Were you aware of the dangerous condition before you fell? If you were aware of the dangerous condition before you fell, the property owner may try to use this against you. This will not necessarily provide the property owner with a defense to liability, but it is certainly a factor to discuss with your attorney. □ Did you sustain your injuries as a result of the fall? This may seem obvious; but, in order to seek compensation, you need to be able to show that you suffered your injuries as a result of the fall. If you already had back pain or a broken leg and your condition is no worse than it was before you fell, then you generally would not have a claim against the property owner. □ Have you received a medical diagnosis? In order to prove that your injuries are fall-related, you need to obtain a medical diagnosis. If you have not done so already, see a doctor promptly, and be sure to discuss the details of your fall (and your symptoms) with him or her in detail. The more information you provide your doctor, the better able he or she will be to provide a comprehensive diagnosis and treatment plan. □ Do you have any evidence from the scene of the fall? If you have any evidence from the scene of the fall, such as photographs or your damaged clothes, be sure to keep these in a safe place until you can give them to your attorney. □ Have you discussed your case with a Chicago premises liability attorney? Finally, in order to determine whether you have a claim (and, if so, how much you are entitled to recover), you need to discuss your case with a local premises liability attorney as soon as possible. At Malman Law, we offer free and confidential initial consultations, and we do not charge any fees or costs unless we win just compensation. Were you injured in a slip-and-fall accident in Chicago? If so, we invite you to contact us to schedule a free initial consultation with one of our experienced premises liability attorneys. To request an appointment, call us at 888-625-6265, or tell us how to reach you online and a member of our team will be in touch shortly. Fall is the perfect time to hit the open road on two wheels. The temperatures are crisp, the air clean, and the breeze gentle. You have gorgeous fall colors surrounding you just about everywhere you go in Illinois – even downtown Chicago. The golden hues of leaves, the orange and red colors filling the park, and the smell of pumpkin spice emanating from the local coffee shops make you want to soak up as much as you can before the winter season strikes. While fall is a great time to experience the road on a motorcycle, unique hazards present themselves during this season. Whether you are an experienced or novice rider, knowing about these risks is imperative for your safety, the safety of passengers, and even the safety of those sharing the road with you. One of the best ways to avoid an accident is to know the risks. If you are unaware of the unique hazards during the fall, now is the time to read up and make sure you are prepared for your next trip. It doesn’t matter if you are going on a road tour for a few hundred miles or you are riding your motorcycle to work, these risks are real and increase the likelihood of a dangerous collision. Unfortunately, one of the greatest aspects of fall can also be one of the biggest safety risks. Fall’s bright colors come with falling leaves by the pound. While riding backroads, you are more prone to finding leaves littering the roadway or even falling on top of you while you ride. Falling leaves, for starters, create a visual hazard. They can block your line of sight. And when a gust of wind blows enough in front of you, you might find it impossible to see ahead. Furthermore, leaves tend to become wet, muddy, and stick to the roadway. As they sit there, they break down and become slimy, slippery surfaces that trap oil and moisture. When riding your motorcycle, avoid patches of leaves that might affect your traction. If you have no choice but to ride over the patch of leaves, use caution and avoid sudden turns or braking while you are passing over them. Lastly, realize that leaves cover hazards you might see otherwise. For example, you might have a pile of leaves covering a pothole. As you drive over it, your front tire enters the pothole while the rest of your bike leaps forward – throwing you with it. Again, this is why it is best to avoid the pile of leaves if you can. Not only are your tires slightly firmer in the fall because of the colder temperatures, but the concrete and paved surfaces you drive on are cold too. Your tires eventually come up to temperature from friction as you drive, but this takes longer. When you stop, your tires cool faster, putting you where you were initially. Cold tires and cold concrete mean less traction. When tires are not as pliable, they do not grip the surface of the road, which can make it harder for precise turns or even stops. Use caution and be aware that the maneuvers you do in the summer are dangerous in the fall. Fall means more dirt and mud from rainfall – even if it has not rained for a few days. You also are more likely to encounter slicker roadways. Also, with the already decreased traction from colder tires, you are at higher risk for an accident if you try to maneuver suddenly. Anyone that lives in Chicago knows that the temperatures are not always as clear as the weather person would like you to believe. What is deemed a “partly cloudy” day might turn into a sprinkle or full out rainstorm. Because weather is so unpredictable in the fall, you should bring along rain gear, including goggles, so that the weather does not affect your ability to ride safely. Bring gear that is waterproof, even if there is only a risk of a light misting. Illinois State Police specifically mention deer season as part of their motorcycle safety to-do list. This is because fall season means crops are harvested, and deer must move to other places to forage. Deer might cross the streets, and they may cross in front of a motorcycle. A collision with a motorcycle and deer is almost always tragic for both parties involved. Always scan the road and the sides of the road, looking for reflections. Deer eyes naturally reflect with the headlamps of your motorcycle, which help you better see them hiding off to the side. Prime crossing times are dawn and dusk. So, if you are riding at these times, exercise additional caution. It might not be winter, but overnight the temperatures drop enough to promote frost. Even a thin layer of liquid can turn into frost that can result in a severe loss of traction and increase your chances of an accident. Stay in the center of the road or follow the path of vehicles in front of you because you are less likely to find sheets of ice here. Furthermore, remember that under bridges and on highway entrances and exits you may find icy sheets. Regardless of the season, you should be doing a safety check on your vehicle. You want to ensure that you have enough brake pads, that your lines are not leaking, and you are not low on any fluids. Furthermore, check the traction and air pressure of your tires before each ride. With the fluctuating temperatures, your tire pressure may naturally decrease overnight and require replenishment before you hit the road again. The cold air you experience while riding is harsher on the eyes, which might limit visibility. Consider changing out your helmet’s visor to a full or half visor. Also, make sure you are wearing a properly fitted helmet. Yes, Illinois is one of the few states that does not require a helmet, but that does not mean you should go out on the highway without one. Not only will a helmet save you from a serious, traumatic injury in an accident, but if you are in a crash, that helmet can prevent contributory negligence from reducing your settlement. For example, you are in an accident but you did not wear a helmet. Most of your injuries are because of your choice to not wear a helmet. The law didn’t require you to wear one, which means you did not commit a crime. However, tort laws require that you do your part to avoid being injured (or increase your injuries) in an accident. Therefore, failing to wear a helmet means you contributed, in part, to your injuries. As a result, the court will reduce your settlement by the percentage they feel you are at fault for – which could be extensive, depending on the case. It is equally important that you know when it is time to put away the bike until spring shows up. Once there are more frosty mornings, cooler temperatures, or the rainy season really kicks in, winter is just around the corner. Now is probably a safe time to winterize your bike and park it until it is safe for riding again. After all, you do not want to be caught in a snow flurry while you are trying to ride home in rush-hour traffic on I-90. Anyone that drives or rides in the snow knows that those first snowfalls tend to increase accidents; it seems drivers must re-familiarize themselves with how to drive on slick surfaces once again. You might be the safest, most prepared rider out there. But you can still be involved in a serious accident. When you are in a motorcycle accident, the injuries are almost always more severe. You could suffer from lacerations, TBI, crush injuries, internal organ damage, and more. The medical costs to recover from your accident are likely to be extensive – even in a low-speed accident case. You could miss days, weeks, or be permanently unable to work. Your disability leaves you unable to provide for your family, pay for living expenses, and your quality of life suffers tremendously. When you did not cause the accident, why suffer the financial consequences? Instead, speak with an injury advocate who will fight for your right to compensation. Contact the attorneys at Malman Law for a free case evaluation. We are here 24 hours per day, seven days per week to help you with your case. Schedule a free consultation now at 888-625-6265 or request more information online. No one gets in his or her car, buckles up, and heads out on the road expecting to be involved in a collision. However, accidents happen daily in the United States, and Chicago is no stranger to car accidents either. The state of Illinois saw 83,392 car crashes alone in 2015, which tells you how frequently crashes occur. If you average that out per day, it was approximately 228 crashes daily in 2015. It is hard to imagine what it is like to be involved in a collision, and the experience you have will still be unique, even if you and your neighbor both experience a rear-end collision. The type of accident will ultimately determine the trauma you might experience – but other factors such as the speed of each car, number of passengers, what was inside each vehicle, and additional outside factors influence what it is like to be involved in a crash. Regardless, understanding what happens to your body in and after the accident is essential. Knowing this makes it more likely you will seek medical treatment, even if you feel like you are not injured. Furthermore, it helps you better understand why speaking to an accident attorney could prove to be beneficial – especially in more severe accidents. You often hear about what happens to your vehicle in an accident, and you might even see the crash tests where your car is slammed into a solid object and the test dummies come out unscathed. While they look okay, what happens to their body? After all, the average human is not made from high-impact absorbing plastic, and it often reacts differently than the standard dummy. Apart from the injuries, there are emotions and memories you might notice in an accident as well. 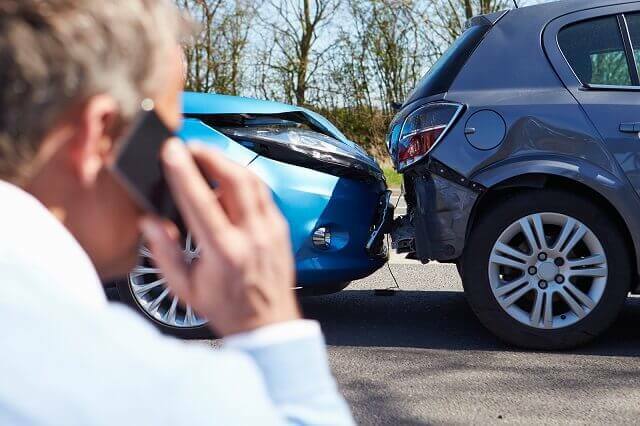 If you were to ask someone about their car accident a few years ago, they are likely to remember how they felt and certain details from the crash that are as clear as if they happened yesterday. Car accidents are extremely traumatic events; therefore, it is easy for a person to recall the details. Furthermore, you can see why post-traumatic stress disorder is common after a car accident. A person can relive their incident, and they might even re-experience the emotions and fear each time they try to get in a car. Instead of everything going by in a blur, most victims that saw the crash occurring will say that it was as if it were in slow motion. For example, they recall seeing a vehicle pull out in front of them, trying to hit the brakes, and what felt like a lifetime before the actual collision took place. One surprising realization is that airbags are not big fluffy cushions that protect you in a crash. In fact, they come out of the steering wheel and dashboard with gusto and can cause injuries themselves. However, hitting your head on the dash or wheel would cause more serious injuries than an airbag’s impact. Most victims who have had the experience of an airbag going off in their face remember the smell (which is like gunpowder), the burning sensation, but may not remember what happened much after that. Car accidents release an enormous amount of adrenaline, which is your body’s natural response to the collision. Likewise, the impact of an airbag combined with going from a moving car to a stagnant position creates confusion. If you suffer a concussion or lose consciousness, you might feel even more out of it. Some people realize instantly they were in an accident, while others take a few minutes to orient themselves and realize what has happened. Seatbelts do save lives when they are worn properly. You are traveling down the highway at 65 miles per hour, which means your body is also traveling at that speed. Once you make an impact, you go from 65 miles per hour to 0 in seconds. Your body stops its momentum the moment the vehicle does if you wear your seatbelt. However, if someone in the car is not wearing a seatbelt, they move around the vehicle and strike you or other passengers, which can cause serious injuries – including the fatalities of those who were seat belted in the car properly. Therefore, it is essential that everyone wear a seatbelt, regardless of age. Some people report stiffness and soreness immediately after, while others feel nothing until that evening or even the next day when they wake up. Remember that, while the airbag and seatbelt stopped you from moving, seatbelts come across the chest and over the shoulder but your head and neck still take a good jolt. This whipping motion might result in whiplash, which can be incredibly painful. The speed of the vehicle, items not secured in your car (including people), and the type of collision determine whether you experience head trauma. Head-on collisions might increase the risk for head trauma, including a traumatic brain injury because the impact of both vehicles traveling at similar speeds creates a catastrophic crash. Your vehicle has head restraints on the back of each seat that are explicitly designed to keep your head from whipping backward and causing serious injury, including TBIs. However, if you do not adjust them properly, your head could still whip backward and you could suffer serious, if not catastrophic, injuries to your head, neck, and spinal cord. Chest Injuries – Chest injuries can be anything from a broken collarbone after an airbag impact to a crushed sternum. The force of body restraints can also cause serious chest injuries, such as broken ribs. Abdominal Injuries – Stomach, spleen, intestines and other vital organs in the abdominal cavity could be injured minorly or majorly. You might have a bruised spleen, while other times, a spleen ruptures and requires emergency surgery. Lacerations and Cuts – A common injury includes lacerations and cuts. These might be on your limbs, face, or other extremities. You could have lacerations from broken glass or objects moving around in the vehicle. Debris from the car as it breaks apart can also cause lacerations. Some of these cuts are minor, while others might require stitches. Fractures and Breaks – Bone fractures and breaks are equally common. You might fracture your fingers, hand, or wrist on the airbag; you could also suffer a more severe injury like a pelvic fracture. Depending on the position of your legs and feet in the crash, you may have a broken leg, ankle, or foot. Internal Bleeding – Internal bleeding is not something you feel. Often, by the time you show symptoms, you are already in a serious, life-threatening situation. The endorphins released post-accident will mask symptoms of internal bleeding, including pain or bloating. After a severe car accident, you might have one or a few of the injuries listed above. If you did not cause that accident, why should you take on the burden of paying for your medical bills, trying to cover expenses when you cannot work, or worrying about how you will provide for your loved ones now that you are disabled? An accident attorney can help you with these issues by negotiating with insurance companies or aggressively seeking damages from the at-fault party through a personal injury lawsuit. Injury attorneys, like those at Malman Law, are advocates. They know that their clients did not cause the accident, and they work hard to seek compensation for medical costs, lost wages, disability, pain, and suffering. After a car accident, you might walk away assuming that you did nothing wrong; therefore, the other guy is at fault. Unfortunately, determining fault is not as simple as your word. Instead, an insurance company and law enforcement assess the accident site and the factors surrounding the case to determine who is at fault. Even more surprising is the fact that you and the other driver might both be at fault. When that happens, contributory negligence laws will take over and your compensation value decreases based on how much fault is apportioned to you. To determine fault appropriately, including whether you are at fault or the other party, you need to know the processes used and your state’s requirements. When you hear the term “fault,” you are dealing with the insurance’s assignment of liability. That means the insurance claims adjuster will investigate the accident and see which party is liable. The liable party is the financially responsible party. A claims adjuster investigates after you report the accident to your insurance company. They determine who is at fault. And even if they work for your insurer, they can find you liable. The adjuster reviews all of the evidence, including the police report. Sometimes the police report will indicate who caused the accident or any citations issued to point the adjuster in the right direction. While your claims adjuster gets the final say on whom they feel is at fault, there are instances of no-doubt liability. These types of accidents almost always have the same party assigned fault; therefore, they are relatively easy to wrap up for a claims adjuster. In most cases, the party that rear-ends another car is at fault. Unless the leading car’s carelessness contributed to the accident, the vehicle that rear-ends was following too close and not exercising caution. In this case, insurers would find them liable. As stated before, you could be liable even if you are rear-ended by another car. For example, your brake lights were out, which made it impossible for the following car to see you slow or come to a sudden stop. Another example would be when you cut off a driver and then hit the brakes. In this case, you already cut the other vehicle off, giving them little time to put space between the bumpers. When you are driving straight through an intersection and the vehicle coming in the opposite direction turns left in front of you, resulting in a collision, it is usually their fault. The other driver had to suddenly slow or maneuver to avoid someone else who was recklessly driving – hitting you as a result. What was the speed limit of both parties? Who had the legal right-of-way at the time? Were either party under the influence at the time? Did either party receive a traffic citation? What do the witness statements say about each party’s role in the accident? Were there dangerous weather conditions that might have contributed? Did anyone admit to fault at the accident scene? Comparative Negligence – Are You Both Liable? In Illinois, the modified comparative negligence laws apply when both parties are at fault. Using the modified rule, the courts would consider the degree of fault by the plaintiff and compare that to the defendant. As long as you are under 51 percent at fault, you can still collect compensation. If you are more than 51 percent, the court bars you from filing a claim. Furthermore, the percentage of fault assigned to you will deduct from your compensation. For example, you are awarded $100,000 but you are also found 25 percent at fault. In this case, your $100,000 would be reduced by 25 percent – or $25,000. Therefore, you would only receive $75,000. If you were involved in a severe car accident, the last thing you should worry about is who is at fault or fighting the insurance company when they try to put part of the blame on you. Instead, speak with an accident attorney to explore your rights and get the compensation you deserve. Contact the team at Malman Law today by calling our office or requesting further information online. Bed sores, also known as pressure ulcers, are not an annoyance; they are a severe health and safety risk that are entirely preventable. Bed sores affect those who are confined to the same position for long periods, especially comatose patients who cannot reposition themselves and rely solely on their caretakers for movement. Pressure ulcers can happen if there is friction or pressure on a specific area of the body (usually bony areas), and the sores continue to form if the patient is not repositioned. Typically, pressure ulcers form on elbows, knees, ankles, heels, and the lower back. They are entirely treatable, but also preventable. When a patient develops sores and those sores are allowed to remain untreated, the nursing home or individual responsible for caring for the patient can be held legally responsible for their actions. Whether you have a loved one in a nursing home, hospital, or they are being cared for at home by a nursing service, there is no excuse for bed sores. Furthermore, there is no excuse for these sores to continue past Stage 1 where they pose serious health risks to the patient. Intensive care units in the US see an average of 16.6 to 20.7 percent of their patients developing pressure sores. And because they are so common, it is imperative that family members be proactive and ensure their loved one is repositioned frequently to avoid them. Limited or no mobility. A patient in a coma has no mobility. Therefore, they are at high risk of developing a bed sore because they cannot reposition themselves to avoid continuous pressure on the skin. Health conditions. Certain health conditions might thin the skin, create blood circulation issues, or weaken a patient’s immune system – all of which can increase the chances for them developing pressure sores. Poor hygiene. Comatose patients rely heavily on their caretakers to bathe them, change them, and clean them if they soil themselves. If a patient is allowed to remain soiled, urine and feces can degrade the skin and increase the risk of a pressure sore as well as become a serious infection if there is already an open sore present. Pressure ulcers are preventable by following a few tips. Any nursing care facility that specializes in the care of a comatose patient should have protocols in place to inspect for and treat pressure sores (which can develop in a matter of hours) and to prevent ulcers from happening. Repositioning Every Couple of Hours: Comatose patients should be repositioned every couple of hours (sometimes as little as every 30 minutes) and throughout the day to reduce their risk of developing these sores. Repositioning might mean moving them from their back, to the right side, then to the left side, and so forth. Using pillows and propping devices will ensure that their weight does not drag them back down to a position that they were already in. Keep the Skin Dry, Clean, and Sanitized: The cleaner the patient’s skin is, the less likely they are to develop an ulcer. Comatose patients should be bathed regularly using warm water and mild soap. Their skin must be pat dry because any moisture that remains can lead to sores, too. Frequently changing their bedsheets, inspecting for any leaks from the catheter, and changing diapers are equally important. Using Water Beds: Some facilities implemented the use of water beds because they provide uniform pressure, but without pressure points being irritated. While these are expensive, they can be beneficial for those lying down for extended periods of time. Foam Cushions: Using foam cushions under a patient might also provide equal pressure without irritating bony areas of the body. Using Pillows in Between Irritated Areas: Pillows can prevent bed sores by reducing pressure. For example, a comatose patient moved to their side can have a pillow placed in between their knees and ankles to reduce burden on those bony points. Exercise: Comatose patients should still receive exercise. This includes helping move parts of their body to promote blood circulation and keep the muscles from weakening. Most hospitals use physiotherapy for their comatose patients a few times per week, including movement and massage. Avoid Certain Clothing: Most comatose patients are kept in hospital gowns. But if they are dressed, avoid clothes that have buttons, zippers, or thick seams. Clothes should not be too tight either, because this can restrict blood flow. Air Mattress Pads: Another preventative method is the use of an air mattress pad when foam or water beds are unavailable. The air mattress pad works similarly to waterbeds by creating equal pressure. If proper prevention techniques are used and the patient still develops pressure ulcers, it is imperative that they are caught and treated right away. Once pressure ulcers reach a certain point, they become untreatable and fatal. Bed sores have four distinct phases, with the first and second being the least dangerous while the third and fourth can be life-threatening. Stage one sores are a mild irritation and sometimes missed by inexperienced caregivers. Those with experience caring for bedridden or comatose patients would recognize a stage one wound because they are trained to know what to look for. Stage one sores affect the upper layers of the skin and have not entered deeper tissue or bone. The spot might feel different from the surrounding skin, such as being softer or firmer. It also might have a red irritation to it, but a full sore has not formed yet. Stage one sores can clear up in two to three days with proper treatment. This is a critical time frame for caregivers to take proper measures to keep the sore from becoming worse. 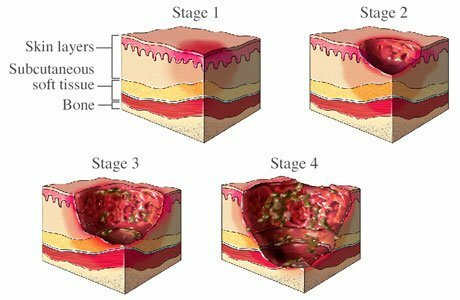 By stage two, the sore has developed deeper in the skin layers. It is obvious there is a sore now because the skin is open and might even have a pus-filled blister. Around the sore, you may notice redness, warmth, and skin swelling. Now is the time for the sore to be treated immediately. While it should have been caught and treated in stage one, stage two sores are apparent, even to the untrained eye. There is no excuse for not seeing these sores on a comatose patient. Unfortunately, many nursing home patients do not receive the care they need, and eventually their stage two sore turns into stage three. Stage three sores move through the second layer of skin and enter the fat tissues. Now the sore looks more like a crater, and it is likely infected at this point so a foul odor is present. Stage three sores cannot be treated by nursing home staff alone. Instead, they require physician intervention. Often antibiotics are necessary to treat underlying infections, and dead tissue around the sore is removed to prevent further tissue death. Sadly, stage three sores will require daily care and take one to four months to heal, which means the chance of further infection is likely. Stage four bed sores are the most serious and unnecessary. A pressure ulcer should never be allowed to progress to stage four where muscles, ligaments, fatty tissues, and skin are all affected. The infection is more likely to enter the blood at this point, resulting in sepsis and sometimes a more serious condition known as septic shock. Bone infections can also occur once the sore reaches stage four. Any stage four pressure ulcer requires hospital treatment. And most of the time, these wounds need surgical correction. Most stage four pressure ulcers take three months to a year to heal – sometimes longer if the patient has a health condition that affects circulation or their immune system. In a nursing home setting, the patients there (including those who are comatose) have an expected standard of care. Their family has placed them in that nursing home under the assumption that, in return for payment, the nursing home staff will meet the daily care needs of their loved one. This includes repositioning throughout the day to avoid deadly bed sores. When your loved one develops a bed sore due to inadequate staffing or they develop a life-threatening infection because nursing home staff failed to seek medical treatment, you have the right to hold the nursing home and their team responsible. To explore your option and advocate for a loved one who cannot do so themselves, contact the attorneys at Malman Law. We are here to fight for your right to compensation aggressively, and we hold nursing homes responsible so that patients under their care receive the treatment they deserve. Schedule your free consultation now at 888-625-6265 or request further information about our services online. At some point in your life, you are likely to find yourself injured by another person. Not that they planned to harm you, but their negligence caused an accident, which in turn led to your injury. Whether you were in an auto accident on 79th Street or you slipped on the floor of your local farmer’s market, these injuries have left you burdened with extensive medical costs and no way to pay them off. In some cases, you might be permanently disabled and unable to return to work. If you did not cause the accident, you might explore the idea of filing an injury claim against the party that did. Personal injury claims compensate you for your losses. To file a complaint, you need to know the proper procedures, including where to file your claim. Ideally, you should speak with an injury attorney. Personal injury cases are more than filing the case with the civil court and receiving compensation. Instead, you might find yourself going up against an insurance company and a team of attorneys ready to fight against your claim. If you want to increase your chances of getting the compensation you deserve, talking to an attorney might help. In Illinois, if you are seriously injured and want to file a claim for compensation, you must do so within two years from the date of the accident. The Illinois statute of limitations protects people from being named as defendants in injury claims years after the fact – but in a way, they protect you too. They ensure that you file your claim quickly so that witnesses still remember what they saw, and evidence is always available to prove your case. Once the two-year mark passes, you cannot file a lawsuit. If you were to try, the judge would dismiss the case. Where you file depends on factors like the compensation value, whether you were in Chicago at the time of the accident, and if you are a Chicago resident. At the Cook County Circuit Courts’ Civil Division, you can file a claim if the case involves compensation of $30,000 or less. If your case seeks damages over $30,000, you must file within the Law Division of the Cook County Circuit Court. Any branch allows for filing as long as you meet the filing requirements. To file a case with the court, you must first write your complaint. This is your official document that explains your legal basis for filing the lawsuit. Your complaint is not a novel; instead, it is succinct and to the point. You must be specific enough to show the defendant that you are serious and have evidence proving your case. Your complaint is filed, and you pay a fee for filing the case with the court. Once you file, you are not done. The complaint is only the first step. Afterward, you must also serve the defendant, keep proper documentation that they were served, and wait for their response. If you are injured, handling the filing and serving is a burden that is unnecessary. You should be focusing on your recovery instead of waiting in line at the County Clerk’s office to file a claim or hunting down a defendant to serve them. 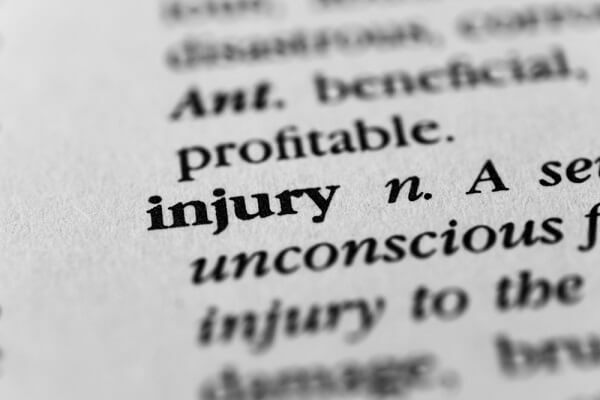 Injury claims are based on negligence. Negligence refers to the defendant’s failure to provide a standard of care, and that failure to exercise the acceptable standard caused your injury. The burden of proof in an injury case lies on the plaintiff (the victim). You must prove, using a preponderance of the evidence, that the defendant was negligent and their negligence led to the accident, which caused your injuries. The preponderance of evidence works like a scale. One side of the scale is the defendant; the other side is the plaintiff. Your amount of evidence must tip the scale onto your side, showing that your evidence is stronger compared to the counter-evidence provided by the defense. While this sounds simple enough, this is only part of the battle. The obligations of the plaintiff extend much further than you might realize – only furthering the burden you experience when you attempt to represent yourself. While this sounds simple, realize that you must successfully get the evidence entered at court. The defense might enter a motion to have some of your proof excluded, especially if you did not follow proper protocol when obtaining it or entering it. The evidence is crucial in an injury claim. Not only do you need evidence to establish the defendant’s fault, but you rely on it to prove the damages you have requested, too. Any evidence excluded due to successful motions by the defense harms your case and makes it that much harder to prove. The courtroom is an official place where each side presents evidence, argues to the court, and follows specific procedures. Attorneys know the protocols because they were trained for them, but also, they practice with each case they take on. Most have years of experience at trial – something you cannot compare with when you represent yourself. Therefore, you must realize that the other side is likely to have an attorney, especially if you have named the insurance company as a defendant or the amount is more than $30,000 in damages. The judge will not excuse your lack of knowledge of courtroom procedures. Therefore, not knowing how to enter evidence, address the court, enter a motion, or object could be detrimental to your case. A common defense strategy is to put as much of the blame on the plaintiff as possible so that the defense can at least reduce the compensation they pay. Illinois adopted the modified comparative negligence laws. This means the fault is divided by party and damages reduced based on the percentage of fault. If the court finds the plaintiff more than 50 percent at fault, they cannot seek compensation. While you might have enough evidence to prove that you are not more than 50 percent at fault, do you have evidence to counterclaims that you are 10 or even 20 percent at fault? Realize that the court reduces your compensation – the funds you need to pay medical costs, cover expenses when you cannot work, and more – by your fault percentage. Losing 10 percent of your compensation could be detrimental. For example, you are awarded $100,000, but the court found you 10 percent liable. Therefore, they reduce the compensation by $10,000. That is $10,000 that you cannot use to pay for your living expenses while you are recovering from your injuries or $10,000 that you cannot use to buy a new car, replace personal items damaged, or cover medical costs. An injury attorney is prepared for the comparative fault defense strategy. They prepare arguments, evidence, and are ready to fight back when the defense tries this common strategy. Hiring an attorney can benefit you in numerous ways. Not only will you have someone there ready to handle the courtroom protocols, fight back against claims of comparative negligence, and argue on your behalf, but you have an advocate who is there to fight for your rights. Higher settlement values. Plaintiffs that file their lawsuits with attorneys tend to see a higher settlement than if they negotiate one alone. Attorneys know how much a case is worth, and they also are skilled negotiators who know how to present the evidence so that they get the results their client needs. More time to focus on healing. You were seriously injured in an accident. You need time to rest, recover, and not worry about making deadlines. With an attorney, you do not have to handle the paperwork; instead, you have a team working for you to settle your case. Less stress overall. Filing an injury claim, dealing with insurance companies, and handling meetings can be stressful. While you are recovering from a severe injury, the last thing you need is more stress. An attorney eases the pressures on you and your loved ones by handling the tasks, dealing with insurance companies, and ensuring you get compensation quickly. After a serious accident, you need an attorney equally serious about getting you the compensation you deserve. Speak with an attorney from Malman Law today to explore your options. We have been offering our legal services for more than 25 years, and we are more than happy to meet with you for a free, no-obligation consultation. Discuss your case risk-free at 888-625-6265, or request more information about our services online. Most car accidents happen because of driver error, but there are those rare instances when a defect with the vehicle causes the accident. When defective car parts are on the road, serious (if not fatal) accidents can occur. Worse, if the manufacturer does not issue a recall for those defective products, no one will know there is an issue until several accidents happen. It is essential for motorists to take their vehicle in for regular maintenance and especially when a recall is issued. Furthermore, owners must know the common defects that can lead to accidents so they can make sure their car is safe to drive. What Is Considered a Defect and What Should Chicago Drivers Know about Them? A car might develop (or be made with) a defective component. Unlike your average consumer product, a defect in a vehicle can be dangerous – if not catastrophic. Vehicle defects can lead to severe accidents, injuries, and they do not care how cautious the motorist is at the time. Drivers have limited control over whether a defect causes a crash. There are instances where owners can be at-fault for defects, too, such as not maintaining their car. For example, a driver knew their brakes were faulty but refused to replace them anyway. By continuing to drive with brakes that were inadequate, they caused the defect and would be at fault instead of the manufacturer. Defective tires have gained more attention in the past few years, especially after the Bridgestone and Firestone tire recalls in the early 2000s. These tire recalls were the two largest in history, and only recalled after the company acknowledged that at high speeds their products might disintegrate and lead to fatal accidents. The Firestone defects alone led to several hundred injuries, but even non-publicized defects could be out there. Defects could be from a single tire, a component of that tire, or poor maintenance by the owner of the vehicle. As a driver, you should have your tires checked throughout the year, rotate them per the owner’s manual, and replace them when necessary. Your vehicle relies heavily on the suspension system. And when that system is not working properly, serious injuries may occur. Most of the time, a car will give off signs that it has a faulty suspension. Signs like uneven wear on your tire tread, bouncing during driving, or a pulling/drifting sensation while you drive. Your car’s powertrain is the main driving force of that vehicle. It includes the engine, drive shaft, transmission, and other components supplying power so that your vehicle moves. When your powertrain fails, you could be in the middle of the freeway – increasing the chances of a high-speed impact. 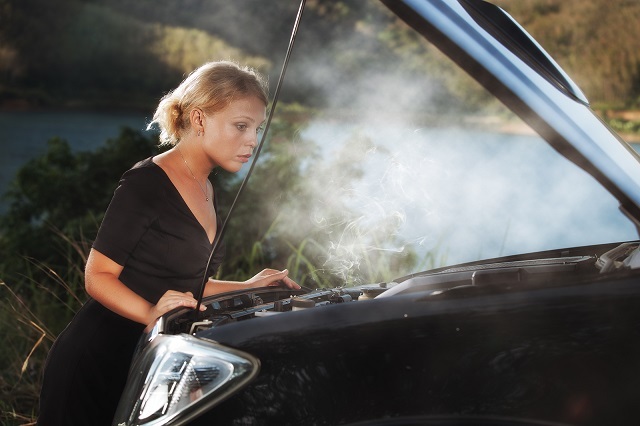 Your vehicle will give signs that there is a powertrain failure, including frequent repairs, puddles of oil underneath, and warning lights. Your steering system is one of the most critical components for safety. If you cannot maneuver your vehicle, you cannot turn or avoid traffic, which might cause an accident. Steering failures take many forms, and most show signs long before they fail. Your steering might make high-pitched squealing as you turn the wheel, you may notice a delayed response, the steering could give out from time to time, or you notice your wheel is unusually stiff while turning. A safety component that no driver wants to have fail in their car is their braking system. Brake defects are one of the most dangerous defects you can have happen, and they also contribute to a high number of motor vehicle accidents each year. You may have warnings of pending failure, while other times, your vehicle doesn’t warn you at all. Common indicators of failing brakes are brake lights which are continuously lit, grinding or squealing, changes to how your brake pedals respond, or sluggish response. Sometimes, a defect doesn’t cause an accident, but it causes serious injury in an accident. Airbag defects, for example, can be catastrophic. The airbag is supposed to save your life. But in some instances, they might not deploy in the collision, deploy at the wrong time, or emit debris that causes serious injury. For example, a roof that collapses during a rollover crash that should not have is a defect. As I mentioned before, an airbag that doesn’t deploy when it should during an accident is a defect. These types of defects can be especially devastating, because car owners have no way to tell that they are at risk until they are involved in a severe accident – and by then it is too late. Can You Sue a Manufacturer for an Auto Defect Accident? Yes, you can hold manufacturers accountable. However, you would need to determine liability. Automobile manufacturers and the companies that manufacture those parts owe a duty to the public to ensure that all of the products they sell are safe. If a product has a risk, they are required by law to notify the public of that risk – whether that risk is known at the time of the product’s release or later. When a manufacturer fails to fulfill this duty, the injured party may file a lawsuit against the company under a product liability lawsuit. With a product liability lawsuit, you have the right to hold the manufacturer accountable for your injuries and seek damages (compensation). When you have a product liability case, the first hurdle is determining who is liable. Often, in cases of product liability, there are multiple parties at fault. The Manufacturer of the Vehicle: The most apparent party is the one that created and manufactured the vehicle. This would be the brand behind the name. The Manufacturer of the Defective Part: While a car is assembled and sold under a name, they are not the sole maker of all the vehicle components. Therefore, you may have a lawsuit against the manufacturer of the elements that were defective. Take the Takata airbag lawsuit, for example. Toyota vehicles were affected, but Toyota did not make the defective airbag. Instead, they purchased it from a third party. The Dealership: Dealerships might not make the vehicles, but they are still responsible for ensuring the cars they sell are safe. Unreasonably Dangerous Defect was Present: You must show that one of the vehicle’s components or the entire vehicle was unreasonably dangerous, and that the unreasonable condition injured you. Manufacturer Should Have Known of the Danger: The manufacturer should have reasonably known about the defect and the risk of injury. The Defect was the Direct Cause of the Accident and Your Injuries: The defect must be the reason for the car accident. If it turns out your car has a defect but the accident was unrelated to that defect, you cannot sue the manufacturer for your damages. What Damages Might I Receive for a Claim? The damages you receive in a car accident involving a manufacturer defect depend on several factors. To start, it will depend on the type of defect and whether the defect caused the crash. Medical Expenses: Medical expenses include all treatments, prescriptions, equipment, surgeries, hospitalizations, and ambulance fees associated with your injury. Any specialists you see are also included. You might receive compensation for chiropractic care, but it will depend on the nature of your injuries and other medical treatments you received as well. Any future medical expenses you might have from the injury can also be included in the settlement. If you will require long-term medical care (including rehabilitation, physical therapy, or psychotherapy), you can receive compensation to cover those costs. Lost Wages: Naturally, a car accident removes you from work for several days or weeks. Sometimes, you are permanently disabled and cannot return to work as you once did. You will receive compensation for the amount of time you took off work to recover. Furthermore, if you cannot work in the same position, same number of hours, or you are permanently disabled and cannot work at all, you receive compensation for the lost earning capacity. Pain and Suffering: It is hard to put a dollar amount on a person’s pain and suffering, but you do receive compensation for any physical pain, mental anguish, and emotional trauma resulting from the accident. Pain and suffering damages are typically calculated based on the trauma, severity of the injury, and how long that injury might affect you. Medical experts will testify on your behalf to help justify the compensation you request in this category. If you suspect that a vehicle defect has caused your automobile accident, you need to consult with an attorney. Product liability claims are complicated. And when you are going up against the resources of a vehicle manufacturer, you need an attorney that has experience handling these types of cases. The advocates at Malman Law can help you with your case. We have represented clients in car accidents and product liability claims. We know how to negotiate with big corporations, and we will help you succeed with your case. Schedule a no-obligation case evaluation with our attorneys today by calling our office or ask us a question online.